much but energy shields can mean the world when you're facing a certain boss. Though the way they're balanced is that after every 5 turns they burn out and can't be used meaning you will require getting a brand new one. This mod removes that, now whenever you use energy shields you can use it as many times as you like without any fear of it burning out. None but if there is Just PM me on Deadlystream. Fred Tetra for Kotor Tool and everyone who downloads the mod. THIS MODIFICATION IS NOT SUPPORTED BY BIOWARE/OBSIDIAN ENTERTAINMENT, LUCASARTS, DISNEY OR ANY LICENSERS/SPONSORS OF THE MENTIONED COMPANIES. USE OF THIS FILE IS AT YOUR OWN RISK AND THE ABOVE MENTIONED COMPANIES OR THE AUTHOR IS NOT RESPONSIBLE FOR ANY DAMAGE CAUSED TO YOUR COMPUTER FOR THE USAGE OF THIS FILE. Uploaded with permission from Stoney. For those curious about seeing the movies that Stoney created for his original M4-78 mod, I've uploaded these for your viewing pleasure. I don't personally suggest in using these videos with the M4-78 Enhancement Project as the skyboxes are different in the two different mods. Following this is Stoney's original read-me. I've kept the contact information as it originally appears but comments can be left below or you could send a PM to Stoney heree. These are updated Landing and Takeoff movies for my M4-78 mod. The EH engine glow no longer flashes. The landing gear steam has been added. 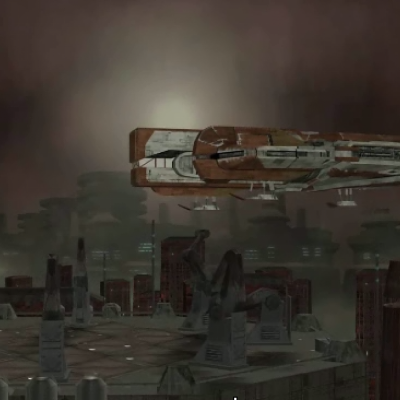 Improved animation of the Ebon Hawk . There should be no issues. This mod may not be modified or distributed without the explicit permission of the author. If you have any questions PM me at Lucas forums. Fred Tetra for Kotor Tool, the modders and community of LucasForums.com for without their help this would not be possible. Thanks also to the good people at video-fx-universe.com for their great tutorials and help. Quanon modeler creator of the Skyboxes Sharen_Thrawn for fixing the Skyboxes Sith Holocron as M4-78 and for lots of other help he has given on this project. THIS MODIFICATION IS PROVIDED AS-IS AND IS NOT SUPPORTED BY BIOWARE/OBSIDIAN ENTERTAINMENT OR LUCASARTS OR ANY LICENSERS/SPONSORS OF THE MENTIONED COMPANIES. USE OF THIS FILE IS AT YOUR OWN RISK AND THE ABOVE MENTIONED COMPANIES OR THE AUTHOR IS NOT RESPONSIBLE FOR ANY DAMAGE CAUSED TO YOUR COMPUTER FOR THE USAGE OF THIS FILE. 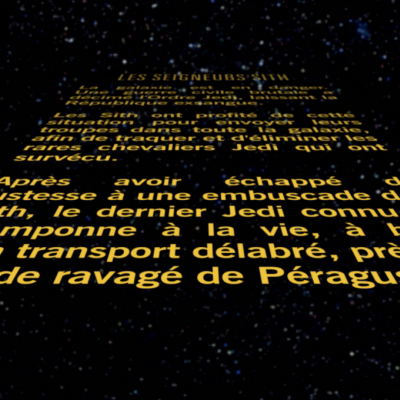 This is a Bink movie replacing the original movie of the opening crawl for the French language version of the game. Allegedly, the original had spelling and/or grammatical errors, and I have rendered a new opening crawl to correct those, based on a translation by French speaker ttlan. These files won't be CD quality versions of the music but it is better than what came with the original 4 CD version of the game. This patch is already included in Steam and GOG versions of the game. Do not install this with Steam and GOG versions. Install this patch before you install TSLRCM. NOTE: You must have at least 2 Gigs of free Hard Drive space to run this patch. - Double-click on the K2_HQ_PATCH_Music executable to run the program. - Wait while the files copy. When the window disappears, you're done! There is no uninstall method. Reinstall the game if for some reason you don't wish to use this patch. LucasArts, the LucasArts logo, STAR WARS and related properties are trademarks in the United States and/or in other countries of Lucasfilm Ltd. and/or its affiliates. 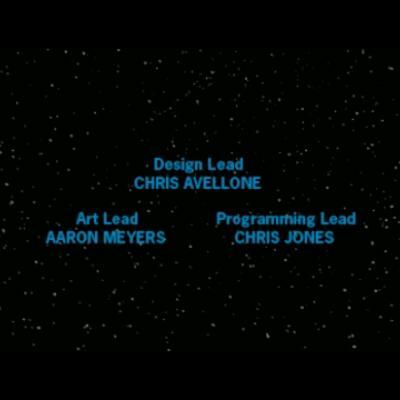 © 2004, 2005 Lucasfilm Entertainment Company Ltd. or Lucasfilm Ltd. All rights reserved. Here we have a fairly massive patch that comes in 6 parts. What this patch does is make all your kotor2 pre-rendered cut scenes a slightly higher quality. So no more squinting at the screen trying to make out details - or at least a little less squinting. These movies weren't re-shot in high-res; they were just up-scaled to 1600x1200, which is why they they won't be leaps and bounds over what you already have. Install this patch before you install TSLRCM. TSLRCM has a few movie fixes that will override some of the movies in this patch and that is completely intended. - Double-click on the K2_HQ_PATCH\Movies executable to run the program. - Wait while the files copy to the game folder. When the window disappears, you're done! 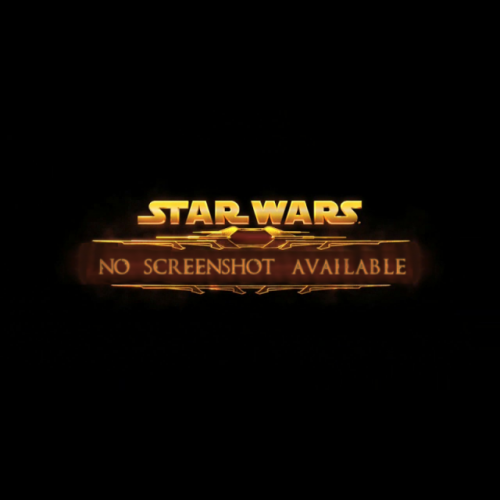 Official 1.0b patch for Star Wars Knights of the Old Republic 2: The Sith Lords. IF you have a non-English version of the game, then you will need the 1.0a patch for your language BEFORE you apply the 1.0b patch. This mod replaces the Ebon Hawk landing and takeoff movies included with the mod M4-78ep. Stoney originaly made these movies years ago with 3Ds Max. I decided to remake them using my student version of Autodesk Maya to make them look more consistent with the other Ebon Hawk movies in the game. The audio was created using sounds from Soundjay.com and the Star Wars films, and includes original music by the user Delator. This mod includes a regular version of the landing and takeoff movies as well as upscaled versions to match the High Quality Movies Patch. TSLRCM and M4-78ep. If you don't have these, they're available here at DeadlyStream. Thanks to Adobe Photoshop, Gmax, MDLOps, Autodesk Maya Student Version, Soundjay.com, Audacity, Sony Vegas, and Rad Video Tools. Special Thanks to Stoney for his work on the original movies, to Sith Holocron for all his help and support with this mod, to Delator for his original music, and to the rest of the M4-78ep team! Note; These files are for TSLRCM 1.8 and higher ONLY. - Modders resource, if you're not interested in modding KOTOR2, this download is not for you. * Generic Spawnscripts. These are the scripts used for many (but not all) foes you encounter. * Modules. These are enemy-specific spawnscripts spread over the various modules. It's important if you recompile these you put them back in the respective module, and NOT override, as other modules may use the same name and it can lead to issues. You can also skip them (if you really want all files in override) but then a large portion of enemies will not use your modified script. All of these are modified from the vanilla TSL version, as those had the faulty version of the lootscript inside the .nss. These TSLRCM versions instead refer to the lootscript instead of containing it, which allowed just to batch compile if changes were made to the lootscript rather than manually adding them to 50+ files. * Placables (just compiled) are the base vanilla TSL scripts. TSLRCM hasn't modified them, just re-compiled them with the new lootscript. * Placeables (unused) are base vanilla TSL scripts. But as mentioned are unused. TSLRCM has recompiled them, if for example modusers did use said placeable scripts, but if you only worry about vanilla you could opt to leave these out without effect. * Placeables (used, script modified) are scripts TSLRCM has modified before recompiling due to errors in the scripts. They are used in vanilla TSL, so make sure to use these instead of the vanilla ones when re-compiling. * Base lootscript. The base of it all. DON'T USE THE ONE IN THE OVERRIDE FOLDER! There are also 3 seperate .nss in the folder, these go in the override. They're also base TSL versions, TSLRCM has just re-compiled them with our new lootscript. A version of the lootscript itself (k_inc_treas_k2.nss) can be found in your override map after installing TSLRCM 1.8 or higher. So use the version included in this download instead. Hopefully will be fixed in 1.8.3, but just incase keep using this version! * Some rounding issues in vanilla TSL could make some items not appear. * Due to a faulty name droid "headslot" items couldn't drop in vanilla. * Due to erroneous checks (only meant for other armors) high-level robes could not drop in vanilla. * Lightsabers and lightsaber crystal's color is now random (with some colors more likely than others) rather than level-based. * Security Spike tunnelers can drop. * All Mira's rockets can drop, instead of just number 1. * Fixed issue where a "rare drop" at higher levels could exceed the maximum item number, and produce no item at all as a result. something to enjoy. Also John Williams for making such epic music to tell such an epic story. DESCRIPTION: I put other music over the music that plays during the credits for the light and dark endings. INSTALLATION INSTRUCTIONS: Put the original Malmov12.bik Malmov14.bik into a new folder in your SWKotOR2/movies folder called "backup" and put these in the movies folder. COMMENTS: There is a click at the beginning of the movies. They weren't there until I mixed in the sound with RAD Video Tools. Nothing I can do about it sorry. the ending when you finish the Lightside ending and dark for the Dark Side ending rather than having the same music for both. The original credis video however is unchanged. WITHOUT MY PERMISSION, PROVIDED THAT CREDIT IS GIVEN WHEN DUE. ANY LICENSERS/SPONSORS OF THE PREVIOUSLY MENTIONED COMPANIES. FOR THE USAGE OF THIS FILE.